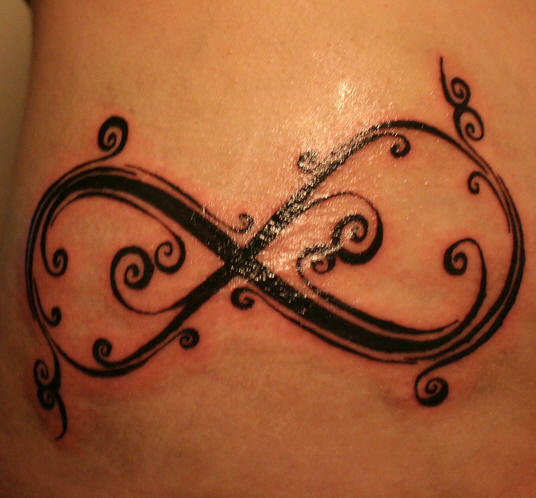 The infinity tattoo has had a surge of popularity over recent years. It is in the shape of a sideways figure eight, and symbolizes the endless, cyclical nature of matters. There is no start or end place. Originally it was used as a mathematical symbol, but its instant recognizability ensured it gained widespread understanding…automatically lends itself to tattoos, doesn’t it? As a tattoo, it can be adorned with other symbols, such as the lotus symbolizing a new phase or stage in life. Many people choose to infuse writing into the shape, with words such as ‘sisters’ or ‘family’ or a wedding date. Another interesting idea is to entwine the infinity symbol into another detailed tattoo. Choice places for the Infinity tattoo appears to be on the wrist or ankle or the back of the neck, particularly for women, although it is such that the size and color of the tattoo can be adjusted according to individual taste, and as such will suit most places on the body. The popularity of the Infinity Tattoo does not seem to be waning. It is a very ‘telling’ tattoo, letting the wearer be easily recognized as someone able to care, love or remember for infinity. People give their own Infinity tattoo their own little twist or interpretation. 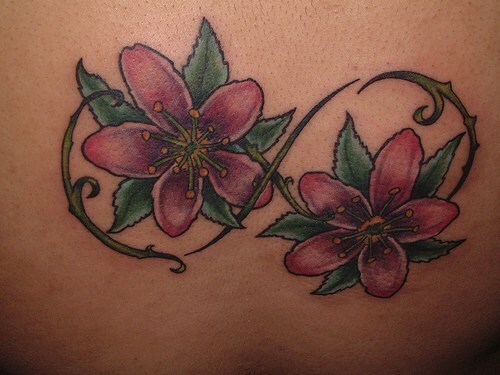 In this case, the tattoo is incredibly feminine and interesting. Again, definitely for a woman, this infinity tattoo is extremely delicate and dainty. It would look lovely at the base of the neck, or across the top of a foot. 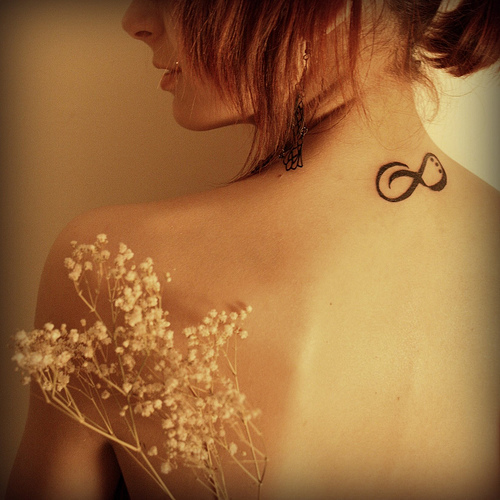 A beautiful example of two current tattoo trends – white ink and the Infinity tattoo. You really couldn’t ask for better, could you? Simple, straightforward, no nonsense. The perfect symbol for the perfect friendship. Endless, cyclical and attractive! Oh! Red and black tattoos! Eye catching and beautiful. The contrast between the two colors work well, as does the contrast between the two shapes. Simply lovely. You could use butterflies or flowers to symbolize the great loves in your life. The color on this well-crafted tattoo ensures it stands out from the rest. Best friends. Forever…and ever…and ever…and ever…..
An original placement and effective use of color. Again, a twist on the original infinity symbol. Ensure you have an experienced tattoo artist complete fine jobs such as this one, and make sure you maintain your aftercare regime – the beauty of this tattoo is in the detail, you wouldn’t like it to be blurred or to lose detail with age. It’s beautiful! Again, another interpretation of a trending tattoo that adds intrigue, interest, and individuality. Original and eye catching! The infinity symbol works well entwined through the other detail of this tattoo.